New Jersey Election Filing Deadlines: Are They Currently Meaningless? New Jersey has a long history of interpreting election statutes as liberally possible. Chief Justice Arthur Vanderbilt famous said, “Election laws are to be liberally construed so as to effectuate their purpose. 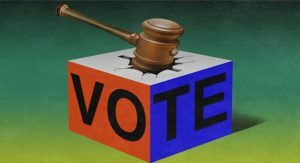 They should not be construed so as to deprive voters of their franchise or so as to render an election void for technical reasons.” The stated goal behind this is to ensure that voters are given the most possible choice, and any eligible voter can vote. While the sentiment behind this principle is noble, it has been taken too far in the extreme. The current case law has extended the statutes to the point where they are rendered nearly meaningless. Lawmakers must address the issue and reform Title 19. New Jersey has outlined a deadline for which candidates who were elected in the primary can be substituted. N.J.S.A. § 19:13-20 allows parties to fill vacancies which occur not later than 56-days before the General Election and must do so before the 54th day preceding the General Election. With minimal exceptions, this provision guided election law until 2002 in the seminal case N.J. Democratic Party, Inc. v. Samson, 175 NJ 178 (2002), known as the “Torricelli case” to most. In this case, the New Jersey Supreme Court allowed the Democrats to replace Senator Robert Torricelli with Frank Lautenberg shortly after the 56-day deadline. From that point forward, replacing candidates seem to no longer be subject to any strict statutory guideline, though it was not sure how far it would go. This past election cycle, our litigation team represented parties in two different matters which stretched the boundaries of Title 19. In East Rutherford, incumbent Republican Councilman Jeff Lahullier sought re-nomination with Councilman George Perry and was challenged by former Republican Councilman Joel Brizzi. Brizzi and Perry ultimately were successful. Following his loss, Lahullier was chosen by the Democrats to replace one of their candidates. However, this selection was clearly in violation of N.J.S.A. § 19:13-14.1 which prohibits losing primary candidates from running for the other party in the same election. Mr. Brizzi contacted me regarding this matter and I recommended he contact Bergen County Clerk John Hogan before any legal action was taken. Following contact back and forth with Hogan and the East Rutherford Democrats, Hogan cited a perceived “ambiguity” in the statute and refused to remove Lahullier. At this time, on September 14, 2018, I filed an Order to Show Cause seeking to remove Lahullier, and since it was past the deadline to pick a replacement candidate, barring the East Rutherford Democrats from choosing another candidate. After granting temporary restraints from Hogan printing ballots, the Court conducted a hearing on September 28, 2018. Judge Estela De La Cruz agreed with the position of my client and ordered Lahullier stricken from the ballot and the East Rutherford Democrats prohibited from choosing another candidate as the statutory deadline had past. The East Rutherford Democrats sought an appeal and on October 9, 2018, the Appellate Division upheld removing Lahullier from the ballot, but gave the East Rutherford Democrats until October 10, 2018 at 2PM to choose another candidate for the General Election. 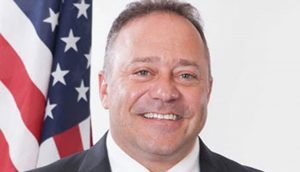 Shortly before that deadline on October 10, 2018, a tragedy struck the Borough of North Arlington when incumbent Mayor Joseph Bianchi, who was also a candidate for re-election, passed away unexpectedly. Within hours, the North Arlington Republicans retained our services to attempt to replace Mayor Bianchi on the ballot and an Order to Show Cause was filed that day. On October 12, 2018, citing and reading large a portion of the Brizzi v. Hogan decision into the record, Judge Robert Wilson ordered that Bianchi be removed from the ballot and replaced with Councilman Daniel Pronti. This replacement occurred a mere 25 days before the election. While other cases had appeals which came close to this time frame, I could not find any action which allowed a replacement filed anywhere near this close to the election. However, with Samson as the guiding decision, as long as the election could be conducted without hindering the process, there was nothing that would disallow the change. Complicating this matter even further, the following week, Hogan appealed the ruling of Judge Wilson. However, the appeal was not based on the time frame, it was based on whether in the haste of the situation, the North Arlington Republicans had failed to properly select Pronti as the replacement candidate. The Appellate Division remanded the matter back for a plenary hearing on whether the replacement candidate was properly chosen. Following nearly twelve hours of testimony, Judge Estela De La Cruz found that the meeting to choose Pronti did not meet statutory guidelines, however, she would give the North Arlington Republicans until the next afternoon to meet and choose a replacement. When this process was complete, Councilman Pronti was officially chosen as the replacement candidate on October 23, 2018. While the statute did not allow replacement candidates for vacancies after the 54th day before an election, Pronti was placed on the ballot a mere 14 days before the 2018 General Election. Despite this late start, the story has a happy ending as Pronti easily defeated his opposition continuing the legacy of Mayor Bianchi. Too often allowing a diversion from statute by the Courts will create a situation which where it dilutes the meaningfulness of the statute. The Torricelli case, which extended the deadline to replace candidates a mere three days, seemed like it might become one of those cases. The North Arlington case shows to just what extreme this can be taken. Deadlines for candidates to be replaced has now been extended forty days. What will happen if next year a candidate dies 10 days, a week out from the election? Now is the time for reform in the statute. With computers ballot construction no longer takes the time it used to. The legislature should remove the 54th day deadline and create a statutory scheme which a shorter, yet hard and fast deadline. If our election laws are to have any meaning, they must be interpreted as written. The current case law does not permit for such interpretation of the current statutes. Return the power of election law to the legislature and do not leave candidate selection to the sole discretion of the Court with little to no guidance.